Even when addressing the most basic womenswear pieces, the 4 Moncler Simon Rocha line, collection n°4 of the Moncler Genius project, takes advantage of its know-how, adapting it to the classic and sophisticated woman who always stands out. 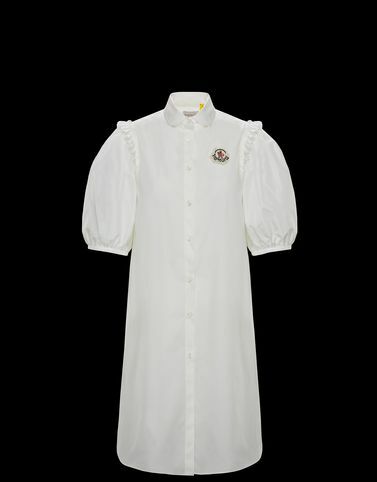 This cotton shirt, an essential piece of the female wardrobe, takes on character through the puffed taffeta sleeves and the ruffle trimmed armholes. Because even the most loved basics should bear the brand’s signature of excellence.